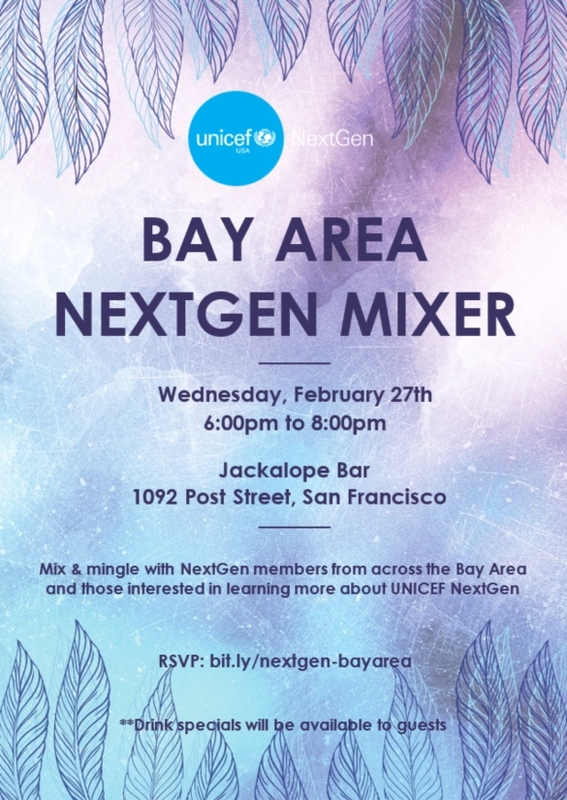 Join NextGen members and prospective members from the Bay Area to learn more about UNICEF NextGen! Mingle with like-minded young professionals who share a passion of putting #childrenfirst. This event is not limited to only NextGen members, so bring along a friend or colleague who is missing out on the NextGen experience! **Drink specials will be offered to guests.